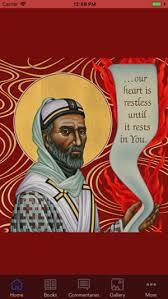 I’m currently rereading Augustine’s Confessions (for the third or fourth time), this time as part of the larger project that is my doctoral dissertation. Lots going on in Book I. I want to give a quick list of some important themes, and then focus in particular on two: his way of overcoming destructive desires, and his “hermeneutic of suspicion” of the pagan Greek religious deities. First, the quick list. Augustine introduces several themes which will emerge later in the book, including: the role of memory in the pursuit of God, language acquisition in infants, the pejorative nature of custom (Latin mos: see esp. xvi.25), his opposition to capital punishment, his deferred baptism (xi.17–18) his own identity as both sinner and victim, seeds of grace in the early years of his life. Have I not read … of Jupiter, at once both thunderer and adulterer? Of course the two activities cannot be combined, but he was described as to give an example of real adultery defended by a fictitious thunderclap acting as a go-between. Here Augustine is participating in the great philosophical work of demythologization, adding his voice to the likes of Xenophanes and Plato before him. As for both predecessors, so also for Augustine: after ridding ourselves of pernicious myth, there is still a substratum of legitimate myth, good and proper myth remaining underneath. It is not the case for any of these demythologizers that once we dispel bad myth we are left with “science” or “pure reason” completely without remainder. But what a god ([Terence] says)! He strikes the temples of heaven with his immense sound. And am I, poor little fellow, not to do the same as he? Yes indeed, I have done it with pleasure. Bring to me a sweetness surpassing all the seductive delights which I pursued. Enable me to love you with all my strength that I may clasp your hand with all my heart. Even at this moment you are delivering from this terrifying abyss the soul who seeks for you and thirsts for your delights (Ps. 41:3), whose heart tells you ‘I have sought your face; your face, Lord, will I seek’ (Ps. 26:8). As of today, I am probably about one-third finished with my PhD dissertation in philosophy, which I am completing under the direction of Philipp Rosemann at Maynooth University (the National University of Ireland). As of a couple of weeks ago, my examiners for this project will be John Milbank and William Desmond. For more on all this, see here. Chapter 1: the Sitz im Leben of each thinker (Bonaventure and Ratzinger). Chapter 2: the Aristotelian positioning of narrative poiêsis in relation to two other modes of discourse: science and history. As a discourse in between, mythos metaxologically mediates the difference between epistêmê and historia. Chapter 3: the structural position of intellectus in the work of Bonaventure and Ratzinger, and its connection to narrative or mythos. Chapter 4: the role of desire, or affective disposition, in Bonaventure and Ratzinger, and its connection to narrative or mythos. Chapter 5: the narratival interpenetration of mind or thought, on the one hand, and history on the other, in Bonaventure and Ratzinger. the historical manifestations of science. the pattern of exit and return. the philosophical importance of desire, or the existential register of affect. history and time as the life-blood of theology. Please ignore this post, unless you are interested in my doctoral dissertation, or are predisposed to matters relating to philosophy and theology. In my dissertation I am trying to show that, in our current cultural milieu in the twenty-first century West, philosophy is dependent upon theology, for reasons having to do with history. Like Josef Pieper’s The End of Time, Catherine Pickstock’s Repetition and Identity compellingly suggests or argues that, in a unique way, Christian Neoplatonism is hospitable to history. That is, there is something about Christian Neoplatonism which–unlike other philosophical approaches–does not exclude history from philosophical consideration. In chapter 4 (“The Repeated Sign”) of the book, Pickstock seamlessly transitions, with no apparent difficulty, from a discussion of ontology to a discussion of history, or what I call historiology. In fact, on the basis of this chapter, we can say that, for Christian Neoplatonism, unlike many or most other philosophical approaches (inimical to history), the logos of history is no more problematic than the logos of entities in the world, or ontology. Why is this? It has to do with the Forms, which Pickstock also describes as (closely related to) the “imagined double” of any given thing, including the universe or world as a whole. If any given apple is, at the same time, not-another-apple and also not-a-tomato (entities which are wholly imagined or remembered), its intelligibility hinges on this imagined double, and this kind of reasoning is no less applicable to the world as a whole. And since the world, or nature, is a meta-indexical whole (that is, it does not point to some other item in the world; it is “beyond indicating”), the question emerges: does its meaning reside in or rely on some higher, or other, reality? That is, if the world is beautiful, then it must rely on some notion or idea or reality of beauty which is not itself contained in or constrained by the world. So, either it is not beautiful, or its beauty depends on some higher reality (in which case its meaning does rely on a “higher” reality). But what Pickstock implies–and here is the point–is that the apple and the world are no different than, say, the history of the French Revolution. Just as the apple is intelligible only because of the alternative apple or the non-apple, so also the set of “real” space-time, physical events which led to the overthrow of the Ancien Régime in France near the end of the eighteenth century are only intelligible on the basis of an imagined history, that is, an imagined narrative. As for the apple, so also for the French Revolution (or any other historical development). This is the case for Christian neoplatonism, but not for modern, secular, alternative philosophical approaches. Christian Neoplatonism confidently embraces a philosophy of history, but other approaches (from Aristotelianism to Kantianism) cannot. Hence, history is no longer off limits to the philosophical quest for truth. Hence, we can once again remain open to history, willing to consider attentively whatever it has to say to us. When we do that, we are confronted by certain parameter-shifting considerations, having to do with creation, fall, incarnation, resurrection, and new creation (or apokatastasis, the redemption of all things). And now we are doing theology (founded, as it is, on a particular history). It is theology that is here informing our philosophic quest. Philosophy, then, is here dependent upon theology. Why? Because of the difference that history makes. Note: this post is intended for philosophy & theology geeks only! In Soren Kierkegaard’s pseudonymous work Repetition, the “author” / protagonist / narrator Constantine Constantius performs an unusual kind of experiment. Nostalgically recalling a past trip to Berlin (from Copenhagen), he begins to wonder if he could replicate such an experience again. He means this literally, and so he decides to try to repeat the trip exactly has it happened before, complete with every sensation, impression, thought, pleasure, pain, etc. The question with which this philosophical novel opens, then, is: Is repetition possible? The answer, it turns out, is no. 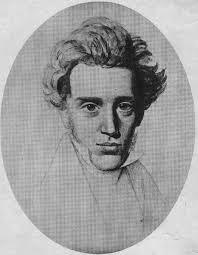 But as the Constantine tells his larger story, which involves a “young man” enmeshed in a botched love affair strikingly similar in all its details to that of the “historical” Soren Kierkegaard, we realize a deeper philosophical truth. While identical repetition is not possible, it turns out that, at another level, nonidentical repetition is nevertheless not only possible, but absolutely necessary. In Catherine Pickstock’s treatment of this Kierkegaardian theme (in her 2014 Repetition and Identity, especially chapter 5, “The Repeated Self”), she puts it like this, channeling the spirit of Charles Péguy: in order for a thing to be (or for an event to occur) it must occur twice, and this in all sorts of senses. As a banal example, take an ordinary object in the world such as a tree: in order for it to be a tree at all, it must also be perceived or conceived in the intellect. This intellectual event—the perception or conception, or indeed imaginary anticipation or memory—is the “doubling” of the object. A key point which Pickstock brings out is has to do with spatial points and temporal instances. Such “entitities” don’t really exist in the world in some sense, and yet our minds supply them, in some sense co-constructing our space-time reality by means of them. Indeed, they supply them by necessity. That is, without these mentally supplied points and instances, all things run together; every thing flows into and out of every other thing, in a kind of Heraclitan flux. Even to say “the cup is here and the napkin is there” requires the presence of such mentally supplied points. Such points, then, are (in Pickstock’s terms) fictive. 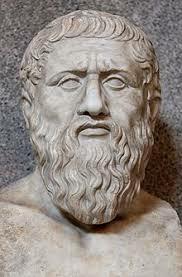 It is Zeno of Elea who originally expounded such truths. On this point both the Eleatics and Heraclitus agree: such points (and instances) don’t really exist at all. Pickstock’s point (with Kierkegaard and Péguy—and Gilles Deleuze) is that without them, the world is unintelligible. Let us now take this train of thought one step further, extending it to the realm of history and the logos of history. As for points and moments, so also for fictional narratives in general. The only way the human intellect can articulate (put into words) a historical event, occurrence, period, or epoch is by way of some kind of narrative. And at one level the narrative is fictive: like points and instances, in some sense it is not real. And yet, without it, historical accounting or articulation is literally impossible. Narratives are to history what points are to spacial reality. The narrative fiction, then, is another instance of this intellectual doubling, and without it no logos of history, indeed no graphê of history, is possible. For history—in any form—to happen once, it must indeed happen twice. It must be repeated. Are human beings sinful by nature? According to philosophers and theologians, this question is an anthropological one, one which many traditional Christians (with a “low anthropology”) will readily answer in the affirmative. However, if one affirms the innate sinfulness of humanity in this way, one is overlooking a crucial development of history (and thus of temporality). For surely any theologian worth her salt would not deny that man’s sinfulness is the result of what Christians call “the Fall.” But what is the Fall if not an event which (in some sense) has taken place in the world in and through time, an event which (in some sense) has come into being at a specific point in time, but which has no effect at all on the state of affairs which preceded it? In other words, one can, with at least as much theological integrity, hold that human being is not sinful by nature, insofar as when God created man in his pre-lapsarian state, he was utterly righteous, utterly just, completely devoid of any defect at all. Now, what is the point of all this, and why bring it up? I am attempting to write a doctoral dissertation on Joseph Ratzinger’s book The Theology of History of St. Bonaventure, in which the Pontiff Emeritus holds that, for the Seraphic Doctor, the logos of history is “first philosophy” (my wording, my gloss). For Ratzinger’s Bonaventure, that is, one cannot know truth, one cannot know what is real, apart from the revelation of certain “events” and their meanings–events which purportedly have taken place in the course of the history of the world. For example, that “in the fullness of time [Lat. plenitudo temporis] God sent forth his Son, born of a woman, born under the law” (Gal 4:4). The question “are human beings sinful by nature?” is a helpful “prompt” for reflecting on the temporality’s necessity for truth.